Located in Alsace, Oberrœdern, at 12 km of the German border, Rieffel bunker is a vestige of the famous French Maginot Line. Come visit this fortification still carrying scars of the intense fightings that occured protecting France against Germany during Battle of France in 1940 and operation Nordwind in 1945. Rieffel bunker was rehabilitated in 2008 thanks to a team of passionates. 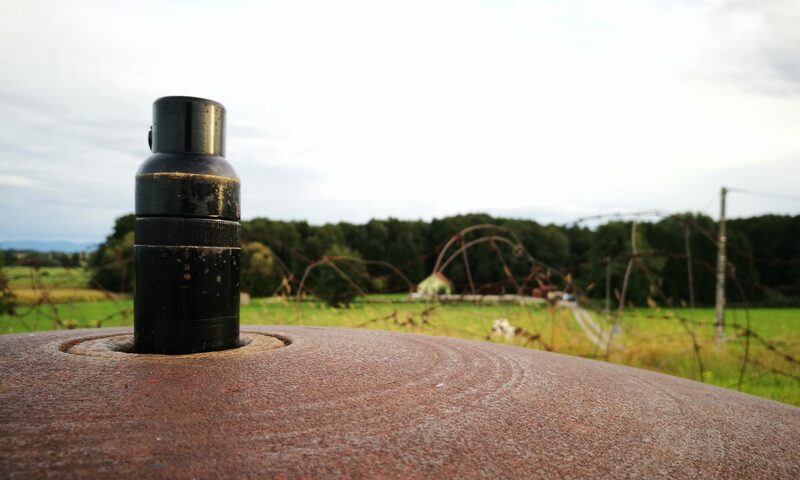 We will be happy to welcome you and to make you discover the daily life of the bunker crew during the “Phoney War” and during German offensive. The Rieffel Bunker is open to visitors. Please go to News page to know the date of our next opening. You will be welcomed by the members of the association that will be very pleased to make you discover the fortification, rehabilitated with equipment of 1939-1940. Our association works to make better known the Maginot Line and the Battle of France, a piece of our History that is largely unknown. As such, we assure the duty of remembrance to the French soldiers who have fallen on the battlefield, who have been wounded or more generally who served and fought in this sector of the Maginot Line to preserve France of the Nazi aggression. A ceremony in memory of the young Alsatians who were forcibly conscripted in Nazi Germany Army during the second world war is also organized every year on August 25th. Our association assures since 2001 the rehabilitation of the Rieffel Bunker. A substantial historic work and search for origin equipment was made to put the south bunker of Oberrœdern in its configuration of 1940. Indeed, neglected after 1945, most of the bunkers were plundered and are today in very poor condition. Since its opening in 2008 to the public, we propose guided tours on Sunday afternoon or on request.